The Men's Positron Jacket is an expedition standard down jacket that combines box wall and stitch-through baffle constructions to strategically control core warmth and improve freedom of movement. 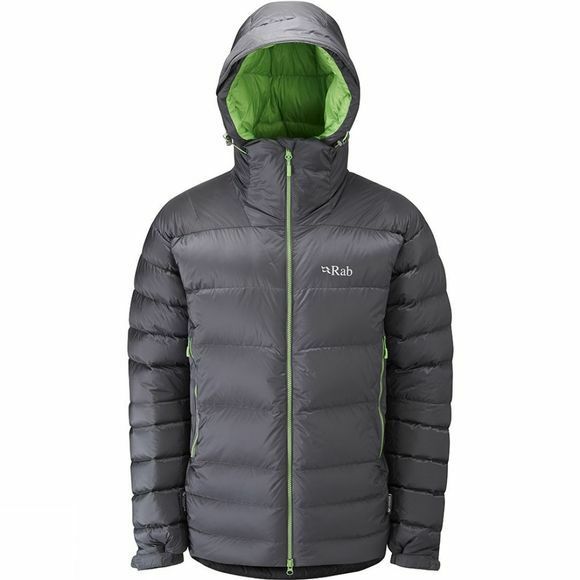 This is designed for deep cold regions and will become a favourite with mountaineers seeking the best mobile insulation. A 2-way front zip adds versatility to the jacket while the wired peak on the hood can be contoured to provide the best protection for your face in harsh conditions. Hook and loop adjustable cuffs can be cinched in to create a seal against drafts while the zipped hand pockets are great for stuffing your hands in when you don't need to use them. In all this is an ideal jacket for cold weather and windy excursions.